Not to be confused with Science publishing, Scientific communication, or Scholarly communication. For the academic journal, see Science Communication. An illustration of Newton's cradle in motion. Science communication is the public communication of science-related topics to non-experts. This often involves professional scientists (called "outreach" or "popularization"), but has also evolved into a professional field in its own right. It includes science exhibitions, journalism, policy or media production. Science communication also includes communication between scientists (for instance through scientific journals), as well as between scientists and non-scientists (especially during public controversies over science and in citizen science initiatives). Science communication may generate support for scientific research or study, or to inform decision making, including political and ethical thinking. There is increasing emphasis on explaining methods rather than simply findings of science. This may be especially critical in addressing scientific misinformation, which spreads easily because it is not subject to the constraints of scientific method.Science communicators can use entertainment and persuasion including humour, storytelling and metaphors. Scientists can be trained in some of the techniques used by actors to improve their communication. Partly due to a market for professional training, science communication is also an academic discipline. Journals include Public Understanding of Science and Science Communication. Researchers in this field are often linked to science and technology studies, but may also come from history of science, mainstream media studies, psychology or sociology. As a reflection of growth in this field, academic departments, such as the Department of Life Sciences Communication at the University of Wisconsin–Madison, have been established to focus on applied and theoretical communication issues. Agricultural communication is considered a subset of science communication from an academic and professional standpoint relating to agriculture-related information among agricultural and non-agricultural stakeholders. Health communication is a related discipline. Writing in 1987, Geoffery Thomas and John Durant advocated various reasons to increase public understanding of science, or scientific literacy. If the public enjoyed science more, they suggested there would presumably be more funding, progressive regulation, and trained scientists. More trained engineers and scientists could allow a nation to be more competitive economically. Science can also benefit individuals. Science can simply have aesthetic appeal (e.g., popular science or science fiction). Living in an increasingly technological society, background scientific knowledge can help to negotiate it. The science of happiness is an example of a field whose research can have direct and obvious implications for individuals. Governments and societies might also benefit from more scientific literacy, since an informed electorate promotes a more democratic society. Moreover, science can inform moral decision making (e.g., answering questions about whether animals can feel pain, how human activity influences climate, or even a science of morality). Bernard Cohen points out potential pitfalls in improving scientific literacy. He explains first that we must avoid 'scientific idolatry'. In other words, science education must allow the public to respect science without worshiping it, or expecting infallibility. Ultimately scientists are humans, and neither perfectly altruistic, nor perfectly competent. Science communicators must also appreciate the distinction between understanding science and possessing a transferable skill of scientific thinking. Indeed, even trained scientists do not always manage to transfer the skill to other areas of their life. Communicating science to the public is increasingly important in today's society. However according to some research, some scientists do not have the skills necessary to do so effectively. There has been some research done over why this is, and it has been found that the stereotype of scientists is the main reason they will not communicate to the public often. The "Draw a Scientist" experiment proves that from a young age, most people assume that scientists are unsocial, so scientists use that as a reason to not communicate. Cohen is critical of what has been called "Scientism" – the claim that science is the best or only way to solve all problems. He also criticizes the teaching of 'miscellaneous information' and doubts that much of it will ever be of any use, (e.g., the distance in light years from the Earth to various stars, or the names of minerals). Much of scientific knowledge, particularly if it is not the subject of public debate and policy revision, may never really translate to practical changes for the lives of the learners. Many criticisms of academic research in public understanding of science come from scholars in science and technology studies. For example, Steven Hilgartner (1990) argues that what he calls 'the dominant view' of science popularization tends to imply a tight boundary around those who can articulate true, reliable knowledge. By defining a deficient public as recipients of knowledge, the scientists get to contrast their own identity as experts. The process of popularization is a form of boundary work. Understood in this way, science communication may explicitly exist to connect scientists with the rest of society, but its very existence only acts to emphasise it: as if the scientific community only invited the public to play in order to reinforce its most powerful boundary (according to work by Massimiano Bucchi or Brian Wynne). Biologist Randy Olson adds that anti-science groups can often be so motivated, and so well funded, that the impartiality of science organizations in politics can lead to crises of public understanding of science. He cites examples of denialism (for instance of global warming) to support this worry. Journalist Robert Krulwich likewise argues that the stories scientists tell are invariably competing with the efforts of people like Adnan Oktar. Krulwich explains that attractive, easy to read, and cheap creationist textbooks were sold by the thousands to schools in Turkey (despite their strong secular tradition) due to the efforts of Oktar. Astrobiologist David Morrison has spoken of repeated disruption of his work by popular anti-scientific phenomena, having been called upon to assuage public fears of an impending cataclysm involving an unseen planetary object—first in 2008, and again in 2012 and 2017. 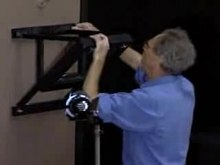 Walter Lewin demonstrates conservation of potential energy. It can be difficult to captivatingly share good scientific thinking as well as scientifically accurate information. Krulwich and Olson believe scientists must rise to that challenge using metaphor and story telling. Marine biologist and film-maker Randy Olson published Don't Be Such a Scientist: Talking Substance in an Age of Style. In the book he describes how there has been this unproductive negligence when it comes to teaching scientists to communicate. Don't be Such a Scientist is written to his fellow scientists, and he says they need to "lighten up". He adds that scientists are ultimately the most responsible for promoting and explaining science to the public and media. This, Olson says, should be done according to a good grasp of social science; scientists must use persuasive and effective means like story telling. Olson acknowledges that the stories told by scientists need not only be compelling but also accurate to modern science - and says this added challenge must simply be confronted. He points to figures like Carl Sagan as effective popularizers, partly because such figures actively cultivate a likeable image. Science popularization figures such as Carl Sagan and Neil Degrasse Tyson are partly responsible for the view of science or a specific science discipline within the general public. However, the degree of knowledge and experience a science popularizer has can vary greatly. Because of this, some can depend on sensationalism. As a Forbes contributor put it, "The main job of physics popularizers is the same as it is for any celebrity: get more famous." Because of this variation in experience, research scientists can sometimes question the credibility of science popularizers. Another point in the controversy of popular science is the idea of how public debate can affect public opinion. A relevant and highly public example of this is climate change. A science communication study appearing in The New York Times proves that "even a fractious minority wields enough power to skew a reader’s perception of a [science news] story” and that even “firmly worded (but not uncivil) disagreements between commenters affected readers’ perception of science.” This causes some to worry that the popularizing of science in the public, questioning whether the further popularization of science will cause pressure towards generalization or sensationalism. Unfortunately, this question will fall to time for an answer. As his commencement address to Caltech students, journalist Robert Krulwich delivered a speech entitled "Tell me a story". Krulwich says that scientists are actually given many opportunities to explain something interesting about science or their work, and that they must seize such opportunities. He says scientists must resist shunning the public, as Sir Isaac Newton did in his writing, and instead embrace metaphors the way Galileo did; Krulwich suggests that metaphors only become more important as the science gets more difficult to understand. He adds that telling stories of science in practice, of scientists' success stories and struggles, helps convey that scientists are real people. Finally, Krulwich advocates for the importance of scientific values in general, and helping the public to understand that scientific views are not mere opinions, but hard-won knowledge. Actor Alan Alda helps scientists and PhD students get more comfortable with communication with the help of drama coaches (they use the acting techniques of Viola Spolin). Matthew Nisbet describes the use of opinion leaders as intermediaries between scientists and the public as a way to reach the public via trained individuals who are more closely engaged with their communities, such as "teachers, business leaders, attorneys, policymakers, neighborhood leaders, students, and media professionals." Examples of initiatives that take this approach include Science & Engineering Ambassadors, sponsored by the National Academy of Sciences, and Science Booster Clubs, coordinated by the National Center for Science Education. In the preface of The Selfish Gene, Richard Dawkins wrote: "Three imaginary readers looked over my shoulder while I was writing, and I now dedicate the book to them. [...] First the general reader, the layman [...] second the expert [and] third the student". Students explain science projects to visitors. Susanna Hornig promotes the message that anyone can meaningfully engage with science, even without going as deeply into it as the researchers themselves do. However, Einsiedel goes on to suggest both views of the public are "monolithic" in their own way; they both choose to declare what something called the public is. Public understanding of science might have ridiculed publics for their ignorance, but an alternative "public engagement with science and technology" romanticizes its publics for their participatory instincts, intrinsic morality or simple collective wisdom. As Susanna Hornig Priest (2009) concludes in her recent introduction essay on science’s contemporary audiences, the job of science communication might be to help non-scientists feel they are not excluded as opposed to always included; that they can join in if they want, rather than that there is a necessity to spend their lives engaging. In some respects, John Durant’s work surveying British public applied similar ideas to Miller. However, they were slightly more concerned with attitudes to science and technology, rather than just how much knowledge people had. They also looked at public confidence in their knowledge, considering issues such as the gender of those ticking "don’t know" boxes. We can see aspects of this approach, as well as a more "public engagement with science and technology" influenced one, reflected within the Eurobarometer studies of public opinion. These have been running since 1973 to monitor public opinion in the member states, with the aim of helping the preparation of policy (and evaluation of policy). They look at a host of topics, not just science and technology but also defence, the euro, enlargement of the European Union, and culture. Eurobarometer’s recent study of Europeans’ Attitudes to Climate Change is a good example. It focuses on respondents’ "subjective level of information"; asking "personally, do you think that you are well informed or not about…?" rather than checking what people knew. Science communication can be analysed through frame analysis, a research method used to analyse how people understand situations and activities. Some features of this analysis are listed below. People make an enormous number of decisions every day, and to approach all of them in a careful, methodical manner is impractical. They therefore often use mental shortcuts known as "heuristics" to quickly arrive at acceptable inferences. Tversky and Kahneman originally proposed three heuristics, listed below, although there are many others that have been discussed in later research. Representativeness: used to make assumptions about probability based on relevancy, e.g. how likely item A is to be a member of category B (is Kim a chef? ), or that event C resulted from process D (could the sequence of coin tosses H-H-T-T have occurred randomly?). Availability: used to estimate how frequent or likely an event is based on how quickly one can conjure examples of the event. For example, if one were asked to approximate the number of people in your age group that are currently in college, your judgment would be affected by how many of your own acquaintances are in college. Anchoring and adjustment: used when making judgments with uncertainties. One will start with an anchoring point, then adjust it to reach an assumption. For example, if you are asked to estimate how many people will take Dr. Smith's biology class this spring, you may recall that 38 students took the class in the fall, and adjust your estimation based on whether the class is more popular in the spring or in the fall. The most effective science communication efforts take into account the role that heuristics play in everyday decision-making. Many outreach initiatives focus solely on increasing the public's knowledge, but studies (e.g. Brossard et al. 2012) have found that there is little – if any – correlation between knowledge levels and attitudes towards scientific issues. Mr. Crane and Mr. Tees were scheduled to leave the airport on different flights, at the same time. They traveled from town in the same limousine, were caught in a traffic jam, and arrived at the airport thirty minutes after the scheduled departure time of their flights. Mr. Crane is told his flight left on time. Mr. Tees is told that his flight was delayed, and just left five minutes ago. Mr. Crane or Mr. Tees? Almost everyone says, "Mr. Tees", because they cannot imagine how Mr. Crane could have caught his flight, while Mr. Tees might have made it if not for that slow pedestrian, or the exceptionally long security line. The simulation heuristic has this ability to generate "if only" conditions, which can be used to understand the negative feelings of frustration, indignation, etc. that arise from near misses such as that of Mr. Tees. This simulation of how events might have occurred is referred to as counterfactual thinking, and can be used to try to identify a unique or unusual circumstance that lead to a dramatic outcome. For example, consider a man who is shot during a robbery while shopping at a convenience store. Subjects will award more damages to a man who was shopping at a store far from his house than they will to a man who was shopping at a store near his home that he commonly visits. Regarding simulations of future events, simply imagining hypothetical events makes them seem more likely to occur. This phenomenon can be extended to a person's own behavior, as imagining oneself performing or refusing to perform an action causes changes in expectations about one's future behavior. Simulation is "more likely to increase the perceived likelihood of a potential outcome...than to reduce perceived likelihood of a potential consequence". Thus, the implications of research on the simulation heuristic are particularly intriguing when designing outreach efforts intended to change behaviors, such as increasing recycling or decreasing fast food consumption. This diagram, designed by Thomas Edison in 1880, is intended to depict the workings of a light bulb. While scientific study began to emerge as a popular discourse following the Renaissance and the Enlightenment, science was not widely funded or exposed to the public until the nineteenth century. Most science prior to this was funded by individuals under private patronage and was studied in exclusive groups, like the Royal Society. Public science emerged due to a gradual social change, resulting from the rise of the middle class in the nineteenth century. As scientific inventions, like the conveyor belt and the steam locomotive entered and enhanced the lifestyle of people in the nineteenth century, scientific inventions began to be widely funded by universities and other public institutions in an effort to increase scientific research. Since scientific achievements were beneficial to society, the pursuit of scientific knowledge resulted in science as a profession. Scientific institutions, like the National Academy of Sciences or the British Association for the Advancement of Science are examples of leading platforms for the public discussion of science. David Brewster, founder of the British Association for the Advancement of Science, believed in regulated publications in order to effectively communicate their discoveries, "so that scientific students may know where to begin their labours." As the communication of science reached a wider audience, due to the professionalization of science and its introduction to the public sphere, the interest in the subject increased. There was a change in media production in the nineteenth century. 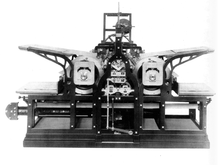 The invention of the steam-powered printing press enabled more pages to be printed per hour, which resulted in cheaper texts. Book prices gradually dropped, which gave the working classes the ability to purchase them. No longer reserved for the elite, affordable and informative texts were made available to a mass audience. Historian Aileen Fyfe noted that, as the nineteenth century experienced a set of social reforms that sought to improve the lives of those in the working classes, the availability of public knowledge was valuable for intellectual growth. As a result, there were reform efforts to further the knowledge of the less educated. The Society for the Diffusion of Useful Knowledge, led by Henry Brougham, attempted to organize a system for widespread literacy for all classes. Additionally, weekly periodicals, like the Penny Magazine, were aimed to educate the general public on scientific achievements in a comprehensive manner. Fredrich Koenig's stream powered printing press, 1814. As the audience for scientific texts expanded, the interest in public science did as well. 'Extension lectures' were installed in some universities, like Oxford and Cambridge, which encouraged members of the public to attend lectures. In America, travelling lectures were a common occurrence in the nineteenth century and attracted hundreds of viewers. These public lectures were a part of the lyceum movement and demonstrated basic scientific experiments, which advanced scientific knowledge for both the educated and uneducated viewers. Not only did the popularization of public science enlighten the general public through mass media, but it also enhanced communication within the scientific community. Although scientists had been communicating their discoveries and achievements through print for centuries, publications with a variety of subjects decreased in popularity. Alternatively, publications in discipline-specific journals were crucial for a successful career in the sciences in the nineteenth century. As a result, scientific journals such as Nature or National Geographic possessed a large readership and received substantial funding by the end of the nineteenth century as the popularization of science continued. Science can be communicated to the public in many different ways. According to Karen Bultitude, a science communication lecturer at University College London, these can be broadly categorised into three groups: traditional journalism, live or face-to-face events, and online interaction. Traditional journalism (for example, newspapers, magazines, television and radio) has the advantage of reaching large audiences; in the past, this is way most people regularly accessed information about science. Traditional media is also more likely to produce information that is high quality (well written or presented), as it will have been produced by professional journalists. Traditional journalism is often also responsible for setting agendas and having an impact on government policy. The traditional journalistic method of communication is one-way, so there can be no dialogue with the public, and science stories can often be reduced in scope so that there is a limited focus for a mainstream audience, who may not be able to comprehend the bigger picture from a scientific perspective. However, there is new research now available on the role of newspapers and television channels in constituting 'scientific public spheres' which enable participation of a wide range of actors in public deliberations. Another disadvantage of traditional journalism is that, once a science story is taken up by mainstream media, the scientist(s) involved no longer has any direct control over how his or her work is communicated, which may lead to misunderstanding or misinformation. Research in this area demonstrates how the relationship between journalists and scientists has been strained in some instances. On one hand scientists have reported being frustrated with things like journalists oversimplifying or dramatizing of their work, while on the other hand journalists find scientists difficult to work with and ill-equipped to communicate their work to a general audience. Despite this potential tension, a comparison of scientists from several countries has shown that many scientists are pleased with their media interactions and engage often. However, it is important to note the use of traditional media sources, like newspapers and television, has steadily declined as primary sources for science information, while the internet has rapidly increased in prominence. In 2016, over half of Americans (55 percent) reported using the internet as their primary source to learn about science and technology, compared to 24 percent reporting TV and 4 percent reporting newspapers were their primary sources. Additionally, traditional media outlets have dramatically decreased the number of, or in some cases eliminated, science journalists and the amount of science-related content they publish. The second category is live or face-to-face events, such as public lectures (for example, UCL's public lunch hour lectures – museums, debates, science busking, sci-art, science cafes and science festivals. Citizen Science or crowd-sourced science (scientific research conducted, in whole or in part, by amateur or nonprofessional scientists), which can be done with a face-to-face approach, online, or as a combination of the two to engage in science communication. Research has shown that members of the public seek out science information that is entertaining, but also helping citizens to critically participate in risk regulation and S&T governance. Therefore it is important to bear this aspect in mind when communicating scientific information to the public (for example, through events combining science communication and comedy, such as Festival of the Spoken Nerd or during scientific controversies). The advantages of this approach are that it is more personal and allows scientists to interact with the public, allowing for two-way dialogue. Scientists are also better able to control content using this method. Disadvantages of this method include the limited reach, it can also be resource-intensive and costly and also, it may be that only audiences with an existing interest in science will be attracted. The third category is online interaction, for example, websites, blogs, wikis and podcasts can also be used for science communication, as can other social media. Online methods of communicating science have the potential to reach huge audiences, can allow direct interaction between scientists and the public, and the content is always accessible and can be somewhat controlled by the scientist. Additionally, online communication of science can help boost scientists' reputation through increased citations, better circulation of articles, and establishing new collaborations. Online communication also allows for both one-way and two-way communication, depending on the audience’s and the author's preferences. However, there are disadvantages in that it is difficult to control how content is picked up by others, and regular attention and updating is needed. When considering whether or not to engage in science communication online, scientists should review what science communication research has shown to be the potential positive and negative outcomes. Online communication has given rise to movements like open science, which advocates for making science more accessible. However, when engaging in communication about science online, scientists should consider not publicizing or reporting findings from their research until it has been peer-reviewed and published, as journals may not accept the work after it has been circulated under the "Ingelfinger rule". Other considerations revolve around how scientsts will be perceived by other scientists for engaging in communication. For example, some scholars have criticized engaged, popular scholars using concepts like the Sagan effect or Kardashian Index. Despite these criticisms, many scientists are taking to communicating their work on online platforms, a sign of potentially changing norms in the field. By using Twitter, researchers and academics can discuss and communicate scientific topics with many types of audiences based on various points of view. Some studies indicate that the use of Twitter can positively impact the number of times a scientific article is cited. These studies show that articles that are highly tweeted about are eleven times more likely to be highly cited than those that who few people tweeted. As noted in studies by Gunther Eysenbach, research has shed light on how Twitter has a direct link to the advances in the science community. Alison Burt, Editor in chief of Elsevier Connect and author of the article How to use social media for science, states the potential drawbacks to sharing their research on Twitter. Kimberly Collins of PLOS explains reasons how some scientists are hesitant to join Twitter. Some scientists are hesitant to use social media outlets such as Twitter due to lack of knowledge of the platform, and inexperience with how to make meaningful posts. Some scientists do not see the meaning in using Twitter as a platform to share their research or have the time to add the information into the accounts themselves. Scientists also believe that Twitter is not professional enough for them to put out information as well as receive relevant suggestions and comments back. Scientists did give a positive to using Twitter by (28%) of the scientists who participated in the study said communicating science on Twitter can benefit because of the size and diverse audience it reaches. BoingBoing science editor and New York Times columnist Maggie Koerth-Baker commented on the importance of keeping public and private personas on social media separate in order to maintain professionalism online. According to these findings, posting academic research on a personal social media accounts could potentially send mixed messages to Twitter users. There have been occasions where scientific outreach on Twitter has been met with positive results. In September 2017, an 8 year old bug lover was teased at her school for her passion for bugs. This led to the Entomological society of Canada posting a tweet defending her love for bugs called #BugsR4Girls. The ESC’s use of twitter was able to make a statement saying, "A young girl who loves insects is being bullied & needs our support. DM your email & we'll connect you! #BugsR4Girls". In 2017, a study done by the Pew Research Center of Journalism and Media found that "About a quarter of social media users follow science related pages and accounts. This group places both more importance and comparatively more trust on science news that comes to them through social media". Karen Peterson, director of Scientific Career Development at Fred Hutchinson Cancer research Center stresses the "importance of using social networks such as Facebook and Twitter to engage in intercommunication" for establishing an online presence as well. Online presence is necessary for career development. No matter your personality type, career advisors recommend that postdocs use online networking tools to make connections, exchange scientific ideas, and advance a career. According to Nature, "more than 3,000 scientists and engineers told Nature about their awareness of various giant social media networks and research-profiling sites". Elena Milani created the SciHashtag project which is a condensed collection of Twitter hashtags regarding science communication and science. Twitter has become a part of researchers’ lives. The public understanding of science, public awareness of science and public engagement with science and technology are all terms coined with a movement involving governments and societies in the late 20th century. During the late 19th century, science became a professional subject and influenced by governmental suggestions. Prior to this, public understanding of science was very low on the agenda. However, some well-known figures such as Michael Faraday ran lectures aimed at the non-expert public, his being the famous Christmas Lectures which began in 1825. The 20th century saw groups founded on the basis they could position science in a broader cultural context and allow scientists to communicate their knowledge in a way that could reach and be understood by the general public. In the UK, The Bodmer Report (or The Public Understanding of Science as it is more formally known) published in 1985 by The Royal Society changed the way scientists communicated their work to the public. The report was designed to "review the nature and extent of the public understanding of science in the United Kingdom and its adequacy for an advanced democracy.". Chaired by the geneticist Sir Walter Bodmer alongside famous scientists such as broadcaster Sir David Attenborough, the report was evidenced by all of the major sectors concerned; scientists, politicians, journalists and industrialists but not the general public. One of the main assumptions drawn from the report was everybody should have some grasp of science and this should be introduced from a young age by teachers who are suitably qualified in the subject area. The report also asked for further media coverage of science including via newspapers and television which has ultimately led to the establishment of platforms such as the Vega Science Trust. In both the UK and the United States following the second world war, public views of scientists swayed from great praise to resentment. Therefore, the Bodmer Report highlighted concerns from the scientific community that their withdrawal from society was causing scientific research funding to be weak. Bodmer promoted the communication of science to a wider more general public by expressing to British scientists that it was their responsibility to publicise their research. An upshot of the publication of the report was the creation of the Committee on the Public Understanding of Science (COPUS), a collaboration between the British Association for the Advancement of Science, the Royal Society and the Royal Institution. The engagement between these individual societies caused the necessity for a public understanding of science movement to be taken seriously. COPUS also awarded grants for specific outreach activities allowing the public understanding to come to the fore. Ultimately leading to a cultural shift in the way scientists publicised their work to the wider non-expert community. Although COPUS no longer exists within the UK the name has been adopted in the US by the Coalition for the Public Understanding of Science. An organisation which is funded by the US National Academy of Sciences and the National Science Foundation and focuses on popular science projects such as science cafes, festivals, magazines and citizen science schemes. ^ a b c d e As summarised in Gregory, Jane & Steve Miller (1998) Science in Public: Communication, Culture and Credibility (New York: Plenum), 11–17. ^ a b Hilgartner, Stephen (1990) "The Dominant View of Popularization: Conceptual Problems, Political Uses," Social Studies of Science, vol. 20(3): 519–539. ^ a b c d e (23 October 2009.) "Randy Olson – Don’t Be Such a Scientist." (Includes podcast). Pointofinquiry.org. Accessed May 2012. ^ a b c d e Miller, Lulu (29 July 2008). "Tell Me a Story." (Includes podcast). Radiolab.org. Accessed May 2012. ^ a b Grushkin, Daniel (5 August 2010). "Try acting like a scientist" The Scientist Magazine. Accessed May 2012. ^ Massimiano Bucchi (1998) Science and the Media (London & New York: Routledge). ^ Wynne, Brian (1992) ‘Misunderstood misunderstanding: Social identities and public uptake of science’, Public Understanding of Science, vol. 1 (3): 281–304. See also Irwin, Alan & Wynne, Brian (eds) (1996) Misunderstanding Science (Cambridge & New York: Cambridge University Press). ^ Selk, Avi. "Please stop annoying this NASA scientist with your ridiculous Planet X doomsday theories". The Washington Post. Retrieved 18 December 2017. ^ "What is Neil deGrasse Tyson's Role in the Scientific Community?". Forbes. Retrieved 29 November 2018. ^ a b Walsh, Lynda (2015). "The Double-Edged Sword of Popularization". Science Communication. 37 (5): 658–669. doi:10.1177/1075547015581928. ^ Nisbet, Matthew (2018). "Ambassadors for Science: Harnessing the Power of Opinion-Leaders across Communities". Skeptical Inquirer. 42 (2): 30–31. Retrieved 1 June 2018. ^ a b Priest, Susanna Hornig (2009) ‘Reinterpreting the audiences for media messages about science’, in Richard Holliman et al (eds) Investigating Science Communication in the Information Age: Implications for Public Engagement and Popular Media (Oxford: Oxford University Press) 223-236. ^ Einsiedel, Edna (2005) ‘Editorial: Of Publics and Science’, Public Understanding of Science, vol. 16(1): 5-6. ^ Martin Bauer, Nick Allum and Steve Miller, "What can we learn from 25 years of PUS survey research? Liberating and expanding the agenda", Public Understanding of Science, volume 16, 2007, pages 79-95. ^ Martin Bauer, Nick Allum and Steve Miller, "What can we learn from 25 years of PUS survey research? Liberating and expanding the agenda", Public Understanding of Science, volume 16, 2007, pages 80-81. ^ e.g. Durant, John, GA Evans & GP Thomas (1989) ‘The Public Understanding of Science’, Nature 340: 11–14. ^ (September 2008.) "Europeans’ attitudes towards climate change." European Parliament and European Commission (accessed in May 2012). ^ See, for example, Nisbet, Matthew C. (2009). Communicating Climate Change: Why Frames Matter for Public Engagement. Environment (Online at http://www.environmentmagazine.org/Archives/Back%20Issues/March-April%202009/Nisbet-full.html, retrieved 20 October 2010). ^ a b c d Fiske, S. T., & Taylor, S. E. (1991). Social Cognition (2nd ed.). New York: McGraw-Hill. ^ Tversky, Amos; Kahneman, Daniel (27 September 1974). "Judgment under Uncertainty: Heuristics and Biases". Science. 185 (4157): 1124–1131. doi:10.1126/science.185.4157.1124. ISSN 0036-8075. PMID 17835457. ^ Brossard, Dominique; Lewenstein, Bruce; Bonney, Rick (1 January 2005). "Scientific knowledge and attitude change: The impact of a citizen science project". International Journal of Science Education. 27 (9): 1099–1121. doi:10.1080/09500690500069483. ISSN 0950-0693. ^ Scheufele, D. A. (2006). Messages and heuristics: How audiences form attitudes about emerging technologies. In J. Turney (Ed. ), Engaging science: Thoughts, deeds, analysis and action (pp. 20-25). London: The Wellcome Trust. ^ Sparks, Paul; Harris, Peter R.; Raats, Monique (1 April 2003). "Imagining and Explaining Hypothetical Scenarios: Mediational Effects on the Subjective Likelihood of Health-Related Outcomes1". Journal of Applied Social Psychology. 33 (4): 869–887. doi:10.1111/j.1559-1816.2003.tb01929.x. ISSN 1559-1816. ^ Gregory, W. Larry; Burroughs, W. Jeffrey; Ainslie, Frances M. (1 December 1985). "Self-Relevant Scenarios as an Indirect Means of Attitude Change". Personality and Social Psychology Bulletin. 11 (4): 435–444. doi:10.1177/0146167285114009. ISSN 0146-1672. ^ Anderson, Craig A.; Godfrey, Sandra S. (1 September 1987). "Thoughts about Actions: The Effects of Specificity and Availability of Imagined Behavioral Scripts on Expectations about Oneself and Others". Social Cognition. 5 (3): 238–258. doi:10.1521/soco.1987.5.3.238. ISSN 0278-016X. ^ Anderson, Craig A. (1 August 1983). "Imagination and expectation: The effect of imagining behavioral scripts on personal influences". Journal of Personality and Social Psychology. 45 (2): 293–305. doi:10.1037/0022-3514.45.2.293. ISSN 1939-1315. ^ "Who pays for science?". www.berkeley.edu. Berkeley University. Retrieved 29 October 2016. ^ "Science Technology Timeline". www.victorianweb.org. 2002. Retrieved 25 October 2016. ^ "BAAS". www.victorianweb.org. 2002. Retrieved 25 October 2016. ^ "British Science Association History". www.britishscienceassociation.org. British Science Association. Retrieved 30 October 2016. ^ Landow, George P. (25 May 2005). "A Review of Aileen Fyfe's Science and Salvation: Evangelical Popular Science Publishing in Victorian Britain". www.victorianweb.org. Retrieved 1 November 2016. ^ Fyfe, Aileen. "Science Publishing". www.victorianweb.org. National University of Ireland. Retrieved 29 October 2016. ^ Ashton, Rosemary. "Society for the Diffusion of Useful Knowledge (act. 1826–1846)". Oxford Dictionary of National Biography. Oxford University Press. Retrieved 2 November 2016. ^ Society for the Diffusion of Useful Knowledge (2012). The Penny Magazine of the Society for the Diffusion of Useful Knowledge. archive.org. Retrieved 1 November 2016. ^ "About the University: Nineteenth and twentieth centuries". University of Cambridge. University of Cambridge. 2013-01-28. Retrieved 31 October 2016. ^ "Showing off: Scientific Lecturing in the 19th century". The Dickinsonia History Project. Dickinson College. Retrieved 2 November 2016. ^ Fyfe, Aileen. "Science Publishing". Brown University. Retrieved 29 October 2016. ^ Brown, Melinda (2015). Making "Nature": The History of a Scientific Journal. Chicago, USA: University of Chicago Press. ISBN 978-0226261454. ^ a b c d e f g h Bultitude, Karen (2011). "The Why and How of Science Communication" (PDF). Archived from the original (PDF) on 13 August 2012. Retrieved 25 October 2016. ^ a b Ipsos-MORI (2011). "Public Attitudes to Science 2011" (PDF). Archived from the original (PDF) on 21 July 2015. Retrieved 27 October 2016. ^ a b McCartney, Margaret (25 January 2016). "Margaret McCartney: Who gains from the media's misrepresentation of science?". BMJ. 352: i355. doi:10.1136/bmj.i355. ISSN 1756-1833. PMID 26810502. ^ Shiju Sam Varughese.2017. Contested Knowledge: Science, Media, and Democracy in Kerala. Oxford University Press, New Delhi. ^ a b c Dudo, Anthony (1 September 2015). "Scientists, the Media, and the Public Communication of Science". Sociology Compass. 9 (9): 761–775. doi:10.1111/soc4.12298. ISSN 1751-9020. ^ a b Jamieson, Kathleen Hall; Kahan, Dan M.; Scheufele, Dietram A. (2017). The Oxford handbook of the science of science communication. Jamieson, Kathleen Hall,, Kahan, Dan M.,, Scheufele, Dietram. New York, NY, United States of America. ISBN 9780190497620. OCLC 962750268. ^ Peters, Hans Peter; Brossard, Dominique; Cheveigné, Suzanne de; Dunwoody, Sharon; Kallfass, Monika; Miller, Steve; Tsuchida, Shoji (11 July 2008). "Interactions with the Mass Media". Science. 321 (5886): 204–205. doi:10.1126/science.1157780. ISSN 0036-8075. PMID 18625578. ^ a b "S&E Indicators 2018 | NSF - National Science Foundation". www.nsf.gov. Retrieved 28 March 2018. ^ Agenda, Committee on the Science of Science Communication: A Research; Education, Division of Behavioral and Social Sciences and; Sciences, National Academies of; Engineering; Medicine, and (13 December 2016). Communicating Science Effectively: A Research Agenda. doi:10.17226/23674. ISBN 9780309451024. PMID 28406600. ^ Könneker, Carsten; Lugger, Beatrice (4 October 2013). "Public Science 2.0 – Back to the Future". Science. 342 (6154): 49–50. doi:10.1126/science.1245848. ISSN 0036-8075. PMID 24092719. ^ a b c Ramasubbu, Suren (12 September 2016). "Social Media in Science". Huffington Post. Archived from the original on 8 June 2018. ^ a b Shaughnessy, Haydn (17 January 2012). "How Could Twitter Influence Science (And Why Scientists Are on Board)". Forbes. ^ a b c Burt, Alison. "How to use social media for science - 3 views". Elsevier. ^ a b c d Collins, Kimberley; Shiffman, David; Rock, Jenny (12 October 2016). "How Are Scientists Using Social Media in the Workplace?". PLOS ONE. 11 (10): e0162680. doi:10.1371/journal.pone.0162680. ISSN 1932-6203. PMC 5061391. PMID 27732598. ^ a b c Dean, Signe. "An 8-Year-Old Bullied For Her Love of Bugs Just Got Her First Scientific Publication". ScienceAlert. Retrieved 12 December 2017. ^ a b "Science News and Information Today". Pew Research Center's Journalism Project. 2017-09-20. Retrieved 2017-12-12. ^ a b "A scientist's guide to social media". Science | AAAS. 14 November 2017. Retrieved 12 December 2017. ^ Underst, Public; Science, ing of. "SciHashtag: Twitter hashtags for scientists". Public Understanding of Science Blog. Retrieved 12 December 2017. ^ a b Gregory, Jane; Miller, Steven (2000). Science in Public. Ingram Digital. pp. 5–7. ^ Short, Daniel (2013). "The public understanding of science: 30 years of the Bodmer Report". The School Science Review. 95: 39–43. ^ a b Ipsos-MORI. "Public Attitudes to Science 2011" (PDF). Archived from the original (PDF) on 21 July 2015. Retrieved 27 October 2016. ^ Bodmer, Walter (20 September 2010). "Public Understanding of Science: The BA, the Royal Society and COPUS". Notes and Records of the Royal Society. 64 (Suppl 1): S151–S161. doi:10.1098/rsnr.2010.0035. ISSN 0035-9149. ^ "Science and Technology; Third Review". parliament.uk. Anderson, Patricia. The Printed Image and the Transformation of Popular Culture 1790-1816. Oxford: Clarendon, 1991. Bauer, M & Bucchi, M (eds) (2007) Journalism, Science and Society (London & New York: Routledge). Bucchi, M & Trench, B (eds) (2008) Handbook of Public Communication of Science and Technology (London & New York: Routledge). Cartwright, JH & Baker, B (2005) Literature and science: social impact and interaction (Santa Barbara: ABC-CLIO). Drake, JL et al. (eds) (2013) New trends in earth-science outreach and engagement: the nature of communication. (Cham, Switzerland: Springer). Gregory, J & Miller, S (1998) Science in Public: communication, culture and credibility (New York: Plenum). Holliman, R et al. (eds) (2009) Investigating Science Communication in the Information Age: Implications for Public Engagement and popular media (Oxford: Oxford University Press). Nelkin, D (1995) Selling Science: How the Press Covers Science & Technology, 2nd edition (New York: WH Freeman). Price, Leah. How to do Things with Books in Victorian Britain. Princeton: Princeton University Press, 2012. Saab, BJ (2010) "Engaging the Clutch of the Science Communication Continuum – Shifting Science Outreach into High Gear" (Hypothesis 9(1) e12). Wikimedia Commons has media related to Science communication.